Organic food sales enjoyed another healthy year in 2008, although growth is slowing as organics capture a bigger share of the overall Ameican grocery bill. U.S. sales of organic foods products grew by 15.8 percent to reach $22.9 billion, according to the Organic Trade Assn. (OTA), Greenfield, Mass. Sales of all organic products, both food and non-food, reached $24.6 billion by the end of 2008, growing 17.1 percent over 2007 sales despite tough economic times. “While the overall economy has been losing ground, sales of organic products reflect very strong growth during 2008,” the OTA said in releasing its 2009 Organic Industry Survey. “Organic products represent value to consumers, who have shown continued resilience in seeking out these products,” said Christine Bushway, OTA’s executive director. 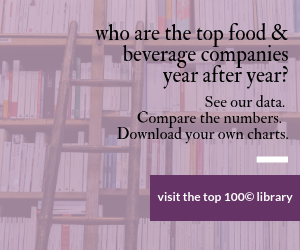 The survey, conducted by Lieberman Research Group on behalf of OTA, measured the growth of U.S. sales of organic foods and beverages as well as non-food categories such as organic fibers, personal care products and pet foods during 2008. Organic food sales now account for approximately 3.5 percent of all food products sold in the U.S.
Organic food sales grew by 20.9 percent in 2006 (over 2005) and by 18.5 percent in 2007.